On April 9, Hunan Governor Xu Dazhe presided over a provincial government executive meeting. It reviewed and approved a Plan to Implement the Reform of One Step Approval Process for 100 Matters. This should provide better and more convenient services for the public and businesses. It will further streamline the administration and delegation of powers, raise government service efficiency, and foster a better business environment, in a bid to promote high-quality development. There will be "a single checklist" for preparing application materials and "a single window" providing multi-agency services. Online approvals of government services will be offered at a one-stop online portal. More matters will be handled without the need to be physically present. For matters that do require a person’s physical presence, they will be processed at a single window and without the need for a second visit. Here’s a look at some of the 100 matters. a supermarket, a fruit store, a restaurant, a bar, a pharmacy, a hotel, a cybercafe , a KTV, a beauty salon, a hairdresser’s, a travel agency, an intermediary, a gas sales outlet, a dry cleaner, a pet hospital, or, a car wash.
an ID card, a license for car-hailing app drivers, a birth certificate, a teacher qualification certificate, a school bus driving license, a health certificate, a card for the elderly, or a health permit. buy or sell a second-hand house, transfer household registration for house purchase, apply for a social security card, apply for an affordable home, transfer house property as a gift, apply for legal aid, file commercial housing purchase contracts, or identify a work-related injury. poor student subsidies; start-up loans; minimum living allowances; subsidies for the elderly or dilapidated houses renovation in rural areas; hospital reimbursement; maternity allowances for urban workers; or subsidies for disabled entrepreneurs. 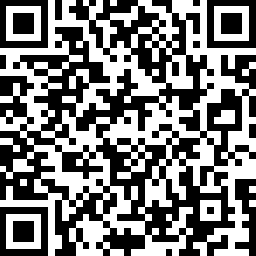 For more details, check the following QR code.